We're so excited about our Staycation coming up this weekend! If you like a stronger yoga practice and you're interested in a local weekend intensive, this is the Staycation for you! Bridgid and Lk are offering two full days of Vinyasa Yoga, Meditation, Philosophy, Relaxation, and much more. The schedule is densely packed with lots of really great instruction. Click here to see the full schedule and all the details. We have a few spots available, and you can register for individual days or the whole weekend. 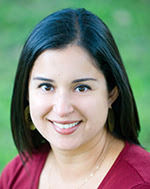 Please call (512-318-2112), email, or Facebook Message if you have any questions! Join us for Stories From India This Sunday! I hope you're having a great week! I'm having a pretty good week as I figure out how to be a summer camp to my two kids and get a little work done at the same time. :) This week I have just two pieces of information I want to share with you. 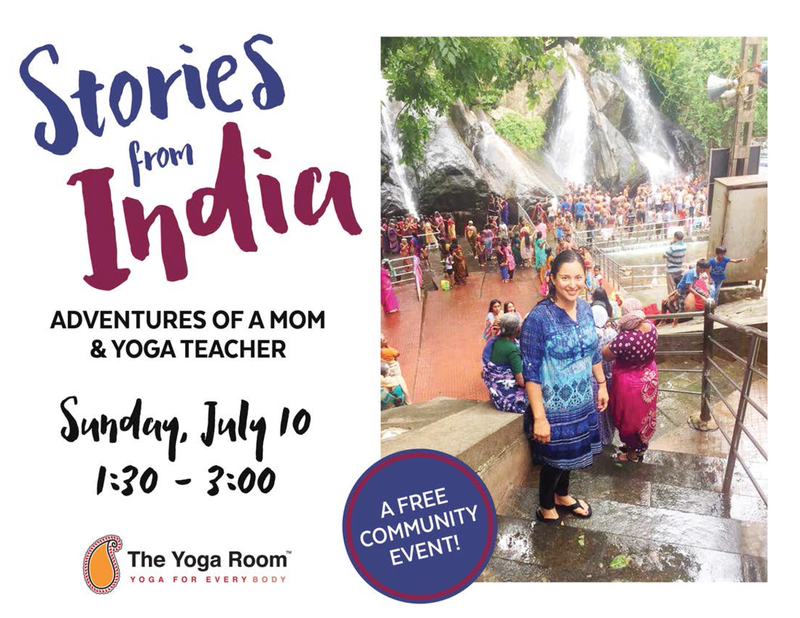 First, I want to make sure you know about the Stories from India event we're hosting at the studio this Sunday, July 10, from 1:30 - 3:00. You may have read some of the stories I wrote from India. I was really honored by the interest in the stories, so we decided to organize an event in the studio where I can share more stories, more photos, answer questions, and serve masala chai tea like I learned to make from my mother-in-law while I was in India. I hope you can come! Secondly, we've had several inquiries about whether it's possible to sign up for just one day of next weekend's Staycation with Lk and Bridgid. I'm happy to announce we have enabled single day sign up! I'm really excited about this Staycation because it's the first Staycation/Retreat-like event we've done specifically for people who like a stronger practice. It's a great way to deepen your practice and also a great way to create the motivation to practice more consistently. Plus it's always great to hang out with yoga people for a whole day or a whole weekend. :) Click here for details about the Staycation.